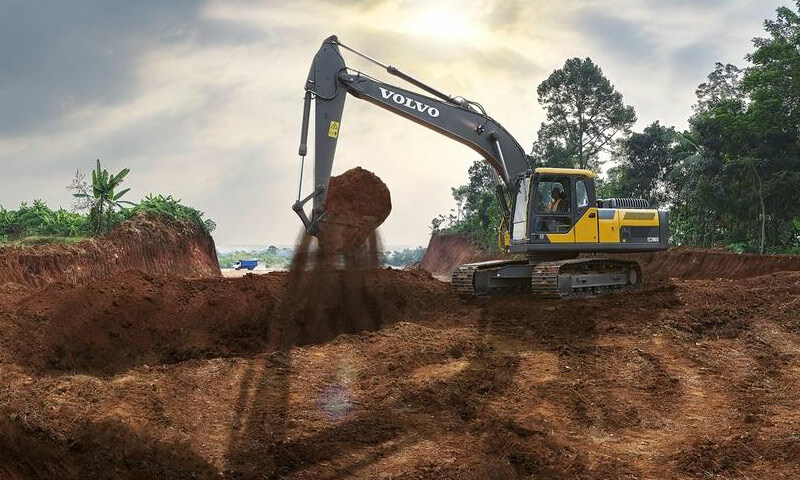 The EC200D crawler excavator from Volvo Construction Equipment has all the hallmarks of Volvo quality and productivity, together with category leading fuel economy. The EC200D crawler excavator from Volvo Construction Equipment (Volvo CE) is the perfect partner for general-purpose applications. From road construction and building projects to agriculture, landscaping and utility work, the EC200D delivers optimum swing speed, excellent combined operation, powerful digging forces and fast cycle times. The latest addition to the D-Series line-up also offers outstanding fuel economy, helping customers improve their total cost of ownership and maximize the profitability of their business. The intelligent feature optimizes the hydraulic system to reduce the loss of flow and pressure, without compromising digging power or swing torque. The hydraulics work in harmony with the Volvo D5 engine, delivering high torque at low rpm for the ultimate combination of performance and fuel efficiency. The EC200D’s combination of high fuel economy with a design that is perfectly matched to the needs of general construction mean Volvo CE expects the new machine to become a popular choice. The operator has the ability to manually control flow to the hydraulics using the integrated work mode system. 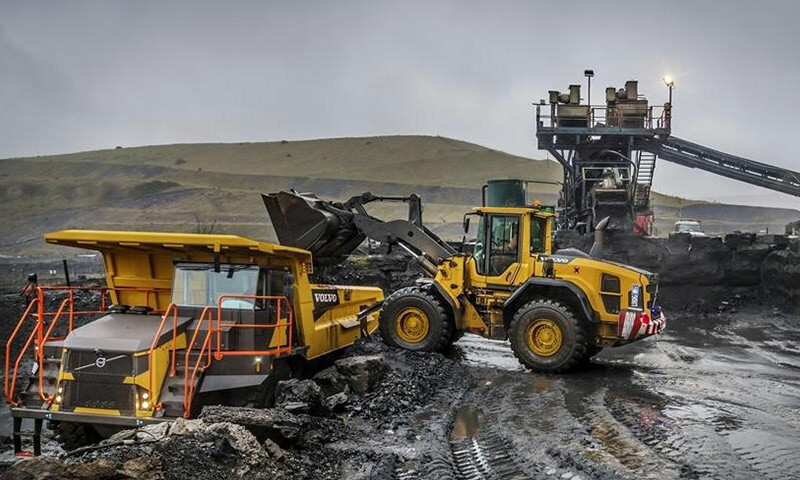 The operator can choose from a selection of work modes – I (Idle), F (Fine), G (General), H (Heavy) and P (Power max) mode – according to the demands of the task at hand. To reduce waste through idling, the EC200D includes the automatic idling feature. When the machine’s controls are inactive for a preset amount of time, engine speed is reduced to idle, helping to reduce fuel consumption – and therefore emissions and running costs. Greater control over the machine not only improves fuel efficiency but also cycle times for a more productive and profitable work shift. 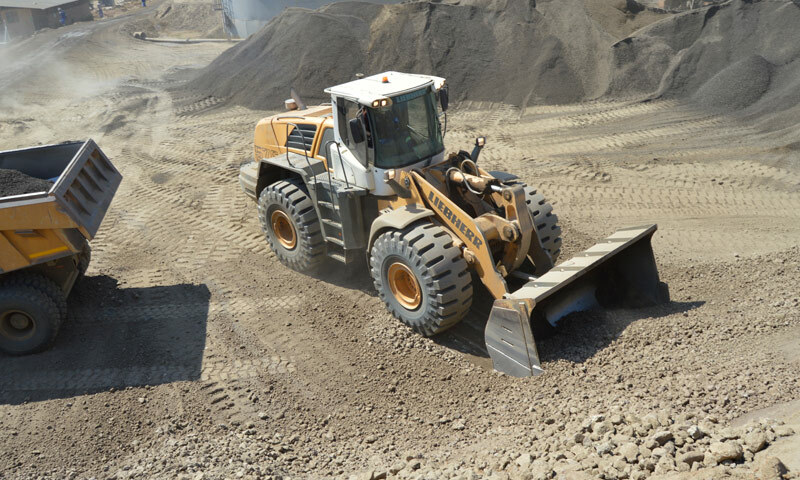 Most notably, the increased hydraulic flow makes it easier for the operator to improve the machine’s controllability; achieving accurate control in grading and combined operations. The operator can also expect smoother and easier movement when traveling and lifting simultaneously, as well as better grading quality from the harmonized boom and arm movement. Harmony and consistency are also evident inside the Volvo Cab. The new I-ECU monitor, for example, displays all necessary information, helping the operator stay confident and in control over the excavator at all times. For effortless adjustment, the controls are ergonomically positioned and integrated into the keypad. Boasting all-around visibility, the spacious Volvo Cab also features an adjustable seat and ample leg room – because a comfortable operator is a productive operator. It’s not only these functions that ensure the EC200D is ready to work. The D-Series excavator is durable by design for the ultimate in strength, durability and wear resistance. All components are tested and proven to provide long-lasting performance, good return on investment and high resale value. For optimum machine weight and maximum total cost of ownership, the newly designed boom and arm is the perfect choice for general-purpose applications. To guarantee a long service life – and maximum uptime, regular service inspections are required to spot any potential problems before they arise. 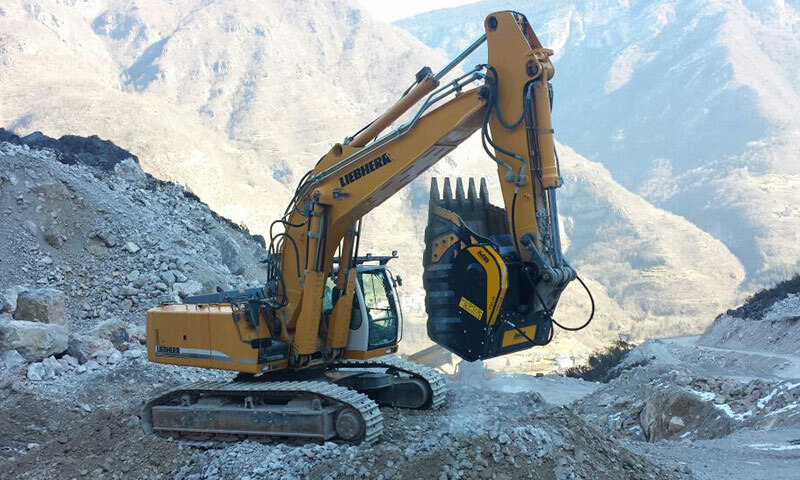 The EC200D excavator makes daily service checks quick and easy to carry out, thanks to grouped filters and centralized lubrication points that are conveniently accessed from ground level. Should a technician or operator need to access the superstructure for inspection or maintenance, full-size guard rails help maintain three-point contact at all times, while well-positioned punched anti-slip plates offer a secure footing. 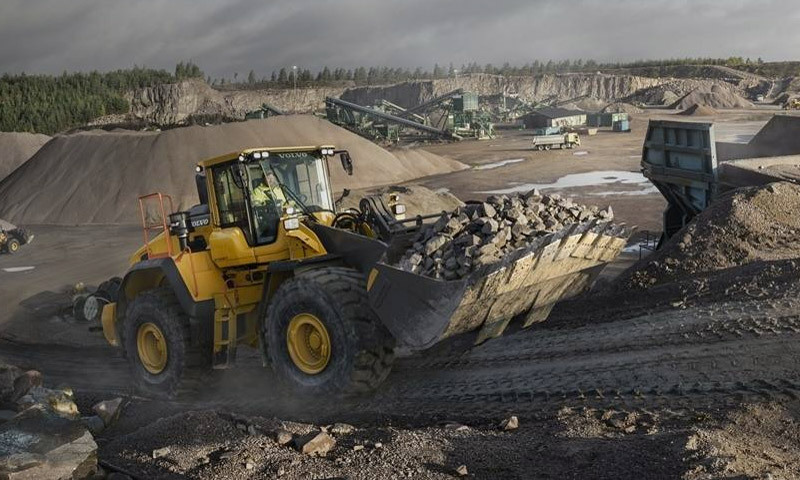 To help promote machine uptime and maximize total cost of ownership, Volvo offers a wide range of aftermarket services and solutions, tailor-made to individual businesses and operations. A complete solutions provider, Volvo CE is committed to boosting customers’ investments and revenues.